Earn money for our school - NY Int'l Children's Film Festival opens THIS FRIDAY! Please come out and join us to help raise money to support our teachers and help fulfill their Wish Lists throughout the year with the Bake Sale Proceeds! 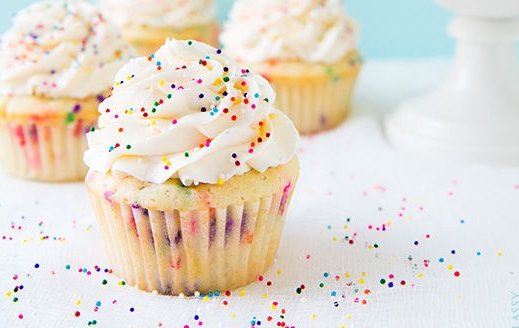 MSC bake sales are a great community building event, and we can't do it without YOU!! Give the kids what they want!!! Cookies, Cookies and more Cookies, Brownies in any way shape or form. Delicious Gluten Free, Dairy Free, and Vegan items are always great additions and very much appreciated by members of our community who require specific dietary needs. This is a FUN and EASY fundraiser and the kids love it!! All items are $1.00 so everyone can enjoy. BAKE, BUY, SELL or do it ALL!!! If you would like to help set up and sell, or have any questions in general, please feel free to contact Lauren or Sloane at the email addresses below! If you are new to MSC, we welcome your help and It's a great way to meet others in the community. Even if you have to leave to pick up your child, it's still ok to help us set up. Thank you and Happy Baking! All items can be left in outside the administrative office on the 5th floor beginning Thursday, February 27th at drop off. There will be mobile carts. We can take donations even when arriving to school to pick up your child durning the sale. If you bring an item that needs utensils, please include them in your donation, and please try and minimize the amount of plastic baggies used in packaging your items. If you can package items individually, that would be great. Otherwise we will take care of this at school. (Please mark all containers with your name, floor, and room number and we will make every effort to return these to you the following Monday). Please join us for an Inclusiveness and Diversity Committee meeting on Wednesday, February 25th at 8:45 am in room 615. Maxine, the new parent coordinator, will be joining us. All are welcome. NY Int'l Children's Film Festival opens THIS FRIDAY and for every ticket purchased by our community, the festival gives $3 back to our school! 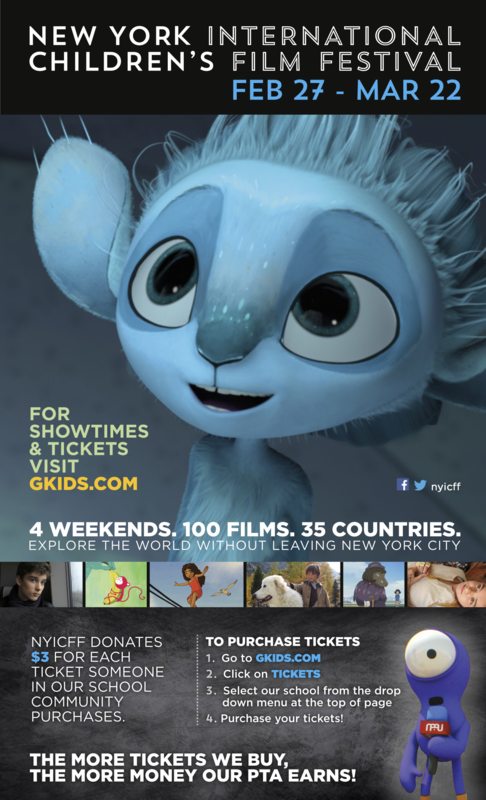 Visit http://www.gkids.com/fest2015 for the complete Festival lineup. There are still tickets available for screenings taking place this weekend including the Festival's wildly popular Short Films One and Short Films Two programs featuring 2015 Academy Award nominees Me and My Moulton and A Single Life, and feature film Satellite Girl and Milk Cow, an exuberantly outrageous, sci-fi fantasy like nothing that has come before it! For every ticket purchased, the Festival donates $3 back to our school! Voila! Our PA earns $3 for each ticket you purchase! 3. Pick up an application from the Beacon office Room B-2. As a reminder, we are only accepting applications for students who are entering the 6th-9th grade. - Mondays, Tuesdays, Thursday and Fridays from 1:00PM-3:00PM OR 6:30PM-8:00PM. If you have any questions or concerns, please feel free to email us at Beacon@goddard.org or call us at 212-866-0009. In recent months, several reports have been released that indicate overcrowding is a serious and growing problem in New York City schools. A July 2014 audit by the City Comptroller’s office found that more than one-third of City schools are over capacity and, according to Department of Education (DOE) data, more than 40% of City students attend overcrowded schools. At the same time, there is increasing demand for school space to accommodate more pre-K students as well as from the new State law that requires the City to provide new and expanding charter schools with free space inside public school buildings or to provide funding to cover their rent in private facilities. This hearing will explore DOE’s efforts to address overcrowding and challenges to doing so, as well as recommendations about how to better address overcrowding from interested stakeholders. Res. 563-2015 - Resolution calling upon the New York State Legislature to reject any attempt to raise the cap on the number of charter schools. We invite members of Community Education Councils, parents, students, educators, advocates, and all other stakeholders and interested members of the public to testify at this hearing. Testimony will be limited to 2-3 minutes per person to allow as many as possible to testify. Although the hearing starts at 1:00 p.m., the Administration (Department of Education), as well as other witnesses (such as elected officials) have been invited to testify and answer questions from Council Members at the outset, so we do not expect to hear from others until sometime after 3:00 pm. Please make sure you fill out a witness slip on the desk of the Sergeant-at-arms if you wish to testify. If you plan to bring written testimony, please bring at least 20 copies. If you are unable to attend the hearing and wish to submit written testimony, please email your testimony tojatwell@council.nyc.gov. Please share this information with any interested groups or individuals. Thank you for your assistance and we look forward to seeing you on March 3rd! Please note - hearing dates and times are subject to change. For information about hearings and other events, check the Council's website at http://council.nyc.gov/html/action/calendar.shtml or, if you'd like to receive email notices of upcoming hearings, you can sign up at the following linkhttp://council.nyc.gov/html/action/signup.shtml. All hearings are open to the public. Lost & Found: Please be advised that every 15 days, we must clear the items in the Lost & Found box. All items are donated. Please come to the Main Office (Room 516) to claim any of your lost items. If your child has after-school, please check the lost & found box at the lobby near the Nurse's Office. Photo ID Card: Please email info@ps333.org with your photo and information (your name, your child's name and your child's teacher). Your ID card will be ready in a week. You can pick up the ID card from your child's teacher.